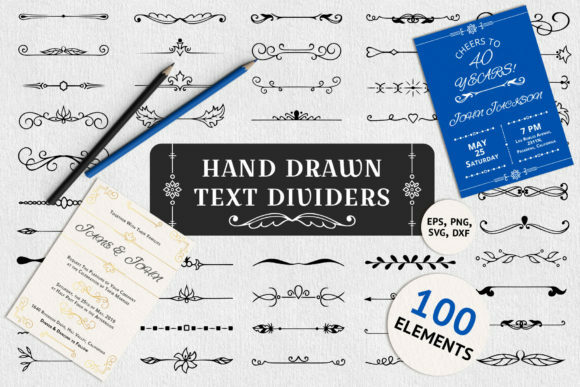 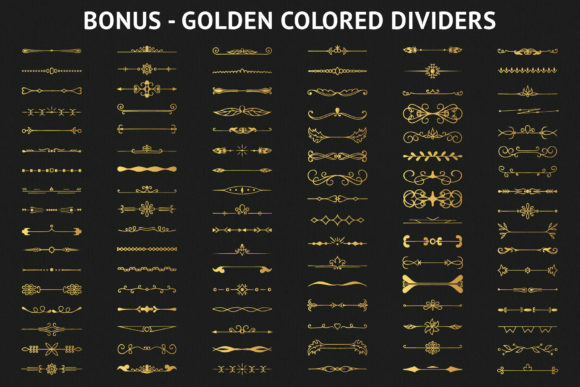 100 hand drawn flourish, ornate and swirl text dividers for design. 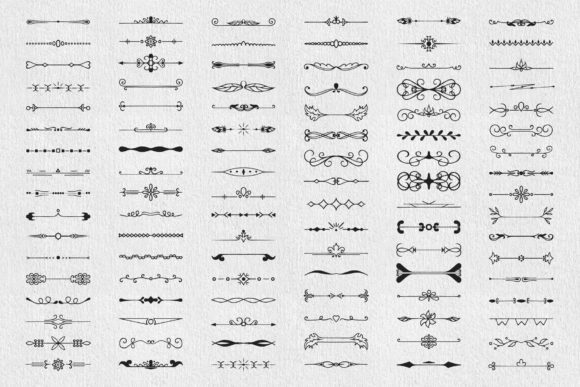 This artwork will be good for Scrapbooking, ornamental page decoration. 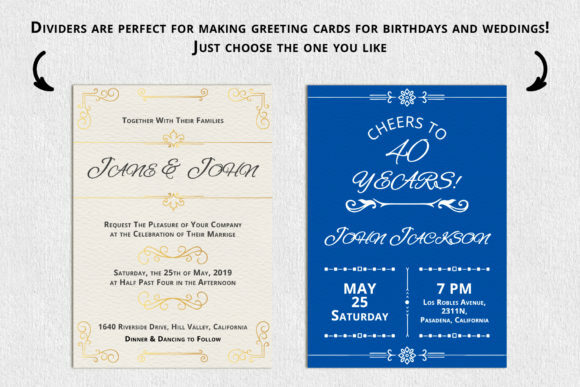 Files are perfect for clipart, scrapbooking, silhouette, cut file, stencil, monogram.